If you need a new gate access decal (RAD), please make an appointment at the HOA office by calling 813-662-0837. Please bring your current vehicle registrations for the vehicles domiciled at your River Hills address. Office hours are from 8:30 am - 4:30 pm (M-F). IF you see any suspicious activity please contact either the non-emergency Sheriff at 813-247-8200 or in cases of true emergency contact 911. 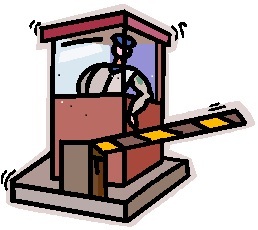 Calling the RH office or gatehouse only delays response times. Thank you for your help! Gardening events offered by Hillsborough County UF/IFAS Extension office. Each residence is responsible to enter all your permanent and temporary visitors using the Envera app, through the website (MyEnvera.com) or by calling Envera at 877-936-8372, option 3. Parents, please talk to your children. Do not let them go down by the ponds! Also, please DO NOT feed the gators. It is a death sentence for the gators. Trappers do not relocate these gators once trapped. To make your first visit as a new resident go smoothly, please come to the HOA office at the front gatehouse, Lithia Pinecrest entrance. Please bring a copy of your closing statement, or a copy of your lease agreement, vehicle registration and driver's license. This will enable us to issue a Resident Access Decal for your vehicle and complete the registration process. If you are planning any exterior changes, you must have Architectural Approval. See Committees/ARC section for the ARC application. Please contact the Office at 662-0837 so we can help you with the proper paperwork. Thank you for your cooperation.